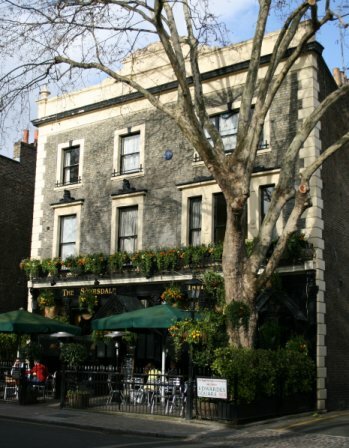 Here’s our pick for the best pubs and bars in Kensington! Recently renovated with the bar relocated (providing lots more space), this has now become a very firm Kensington favourite! 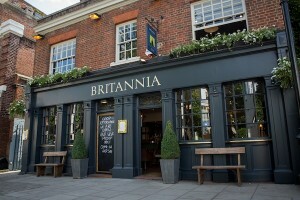 Top notch selection of beer and wine, and very welcoming and cosy interior. Front garden for seating (open all year round if you are brave enough) which hosts BBQs in the summer months. A very popular place, especially on the weekends. Tasty food too, so a great place to come for Sunday lunch. Quiz nights (also on Sundays) are good fun! Part bar, part restaurant, I can vouch that the meals here are very tasty indeed, with amazingly quick service! Hot snacks also available in the bar area. A nice place to unwind after work with a nice glass of wine. Outside seating during summer. A lovely place for a meal or drink (or both!). A typical English pub, frequented by locals (as the houses in the Square cost a pretty penny, there are probably more millionaires here than in any other pub in London). Beautifully kept with a wonderful front garden complete with tables to sit at, flowers and trees providing shade. You’ll find it absolutely packed on summer nights! What was once a slightly ramshackle corner pub is now a smart and upmarket boozer – and thankfully no longer owned by a certain ex-tabloid editor. (It’s much better for it!) Smart and cosy decor, and very friendly service. Excellent food and a good choice of drinks. A great little pub – perfect for cold winters or hot summer nights! The old-fashioned interior, with its small door partitions and little nooks and crannies, gives it a really cosy feel. A fabulous sized beer garden (with its own bar!) means it’s a great place to go in summer too. Ever so slightly “off the beaten track”, it’s still a very popular place. Traditional ales and excellent food too – not your typical pub fare, that’s for sure. A truly historic pub – having welcomed thirsty punters for nearly 200 years – this place has recently had a sleek and contemporary make-over that overall provides a mix old world charm with a 21st century twist. The pub’s main bar is wonderfully cosy with its wood panelling, leather sofas and armchairs, antlers lining the walls and an open fireplace – perfect for a relaxing drink or two. The conservatory towards the back houses the more formal dining area, where you can treat yourself to items from the venue’s British menu that features the best seasonal ingredients – try gems such as the potted Morecombe Bay shrimp with sourdough toast; slow-roasted pork belly; pan fried Anglesey sea bass; chicken, ham hock and leek pie; 8oz Angus rib-eye steak; or even the classic Britannia burger. And don’t forget about the desserts! There’s also a first-floor bar (which is available for private hire) and a cutely decorated alleyway that’s great for evening drinks in the summer months.